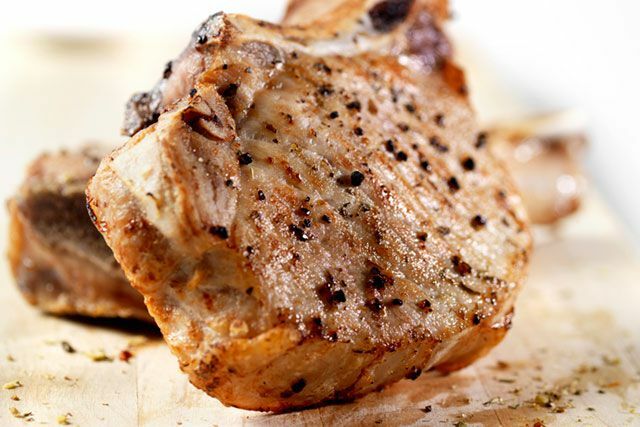 Pork is one of the most popular foods in Spain, eaten as an appetizer or main course. This lomo adobado (spicy pork loin) recipe is tasty and juicy. It's also easy and requires only a few ingredients. The pork marinates for at least 1 hour, but preferably overnight and is then fried quickly in a pan and then listo (it's ready)! Peel and finely mince garlic (or press in a garlic press). Mix minced garlic with paprika, oregano, salt, white wine, and olive oil in a glass baking dish. Place pork loin slices into baking dish and spread spice mixture on both sides. Cover pork with plastic wrap and marinate in the refrigerator for at least 1 hour, preferably overnight. To cook, pour 3 to 4 tablespoons olive oil into a large frying pan and heat on medium. When hot, fry loin slices in pan. Remove and serve with rustic bread and roasted piquillo peppers.